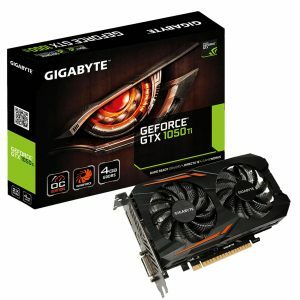 This years must have upgrade has been the 10 series graphics cards from Nvidia. 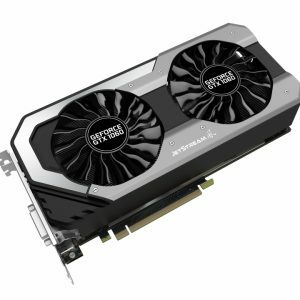 Despite the top tier of GPU's taken up by the famous GTX1080 & GTX1070, Nvidia launched the much anticipated GTX 1060. 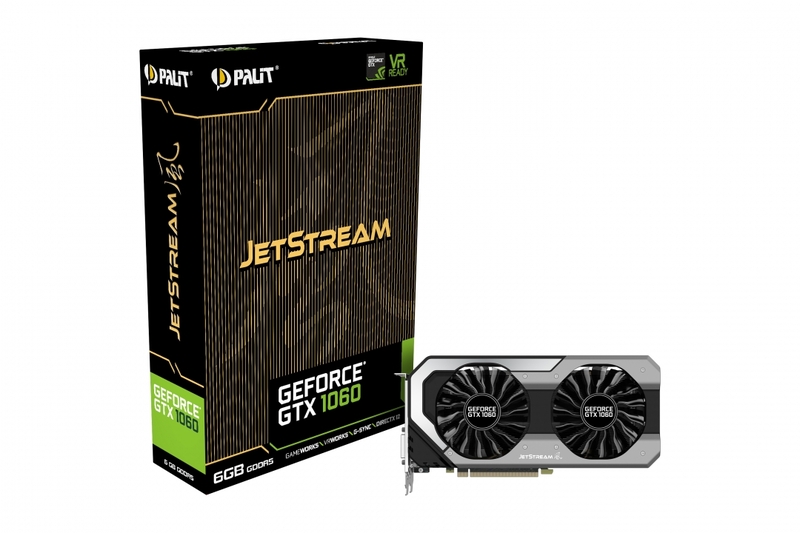 Furthermore, the Palit GeForce GTX 1060 Jetstream 6GB GDDR5 edition is probably the finest looking GTX 1060 on the market. 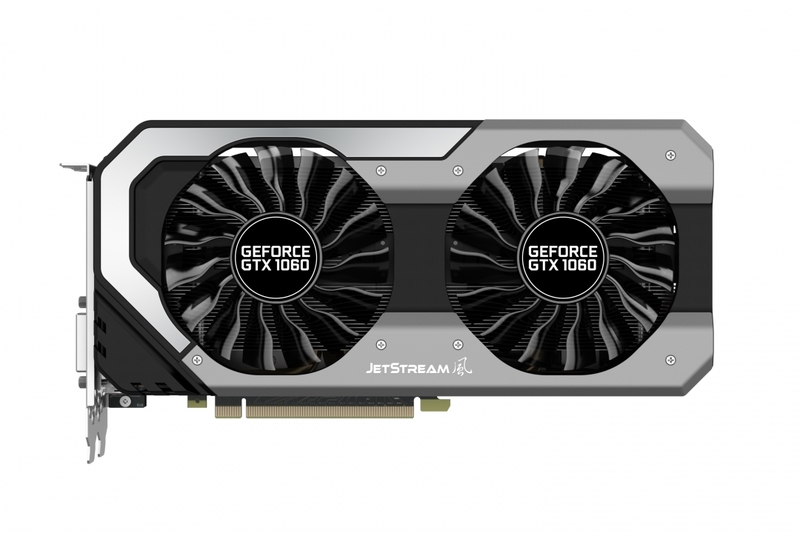 Most noteworthy, the GTX 1060 is not only good looking and powerful, but it also comes from the legendry Jetstream stable. Therefore, this gives you, the gamer, faith on long term performance. Most of all, the Palit Jetstream range has always been a standard for performance. Because Palit value principle that puts as much performance for the end user at its core. 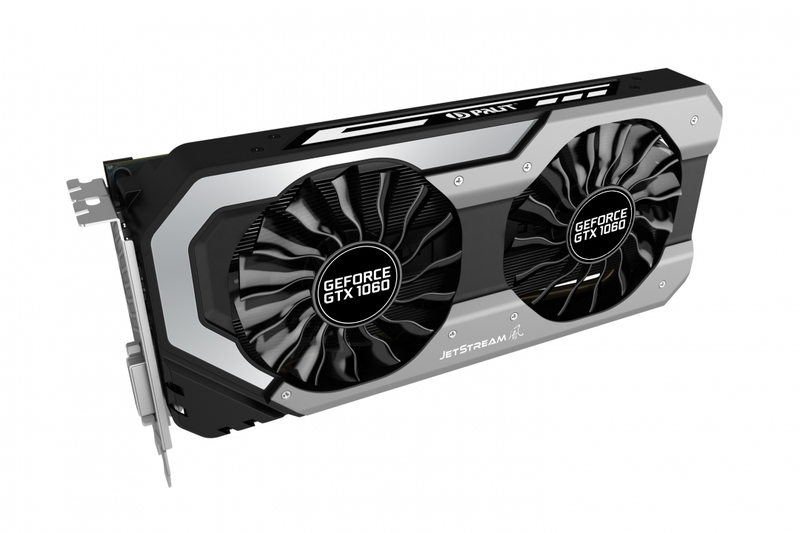 Therefore, building on its wide product range and partnership with Nvidia, it has become a trusted brand. 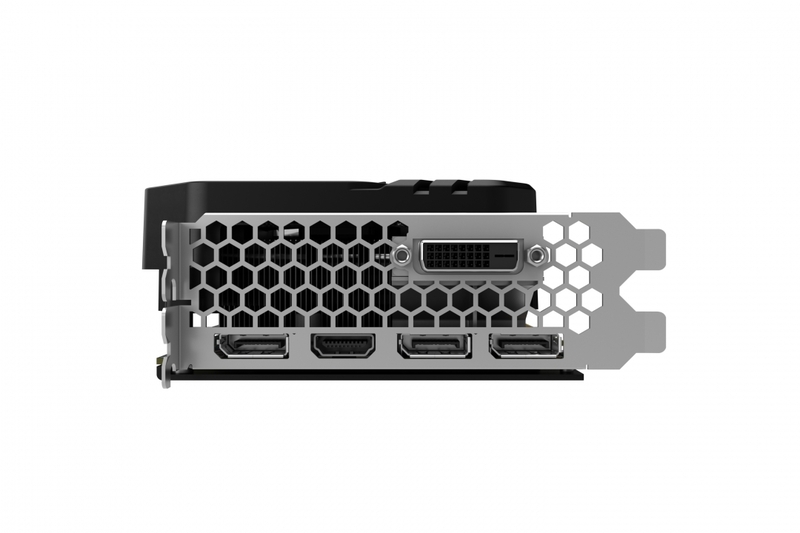 Additionally, Palit's worldwide facilities meet ISO 9001 and its graphics cards hold WHQL certification to ensure full compatibility. 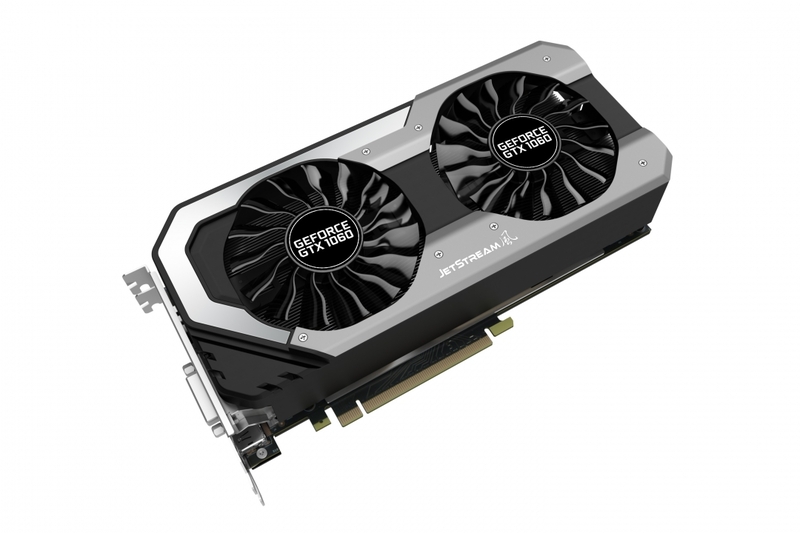 The Nvidia GTX 1060 has some fantastic performance figures, hence below we have listed some number for you to look over. In conclusion, all this wrapped in the good looking and fantastic Jetstream cooling unit. With a power requirement of 550W PSU it becomes an upgrade that can be within reach of the majority of gamers. With a high clock speed and 8GB GDDR5 its a card for the performance user with lots of features from Nvidia and Palit. 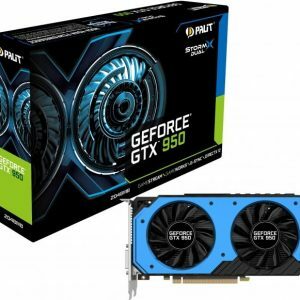 Examples include GeForce experience and Palit's Thundermaster software. 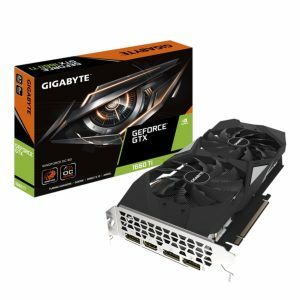 If you are the avid gamer and want more information on this graphics cards or other cards we stock please call 01922 746840.